Update: 8/30/16, 9:15 pm MT: Live stream started 1/2 hour ago here. 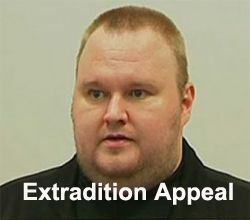 A New Zealand appeals court today began hearing the appeal of Kim Dotcom against extradition to the U.S. The hearing is expected to take six to eight weeks. Kim Dotcom has been requesting the hearing be live-streamed. Today, the court granted his request and live streaming begins tomorrow. Justice Murray Gilbert granted the application, subject to agreement from Mr Dotcom and the other men that the case would only be livestreamed and any footage would be removed as soon as the six-week hearing was over. The footage would also be streamed with a 20 minute delay, to allow the court to prevent any suppressed material from being published. Update 12/22: Judge approves extradition. Bail continued. Appeals next. The New Zealand courts tweeted a few hours ago that the decision on Kim Dotcom's extradition will be released tomorrow afternoon. More from the New Zealand Herald here. 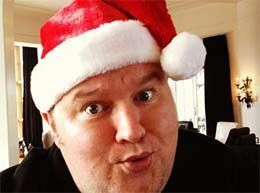 Despite a ruling by a federal judge in Virginia several months ago holding that Kim Dotcom cannot defend against the forfeiture of his assets because of the fugitive disentitlement doctrine, a New Zealand Court this week has granted DotCom's request for an Order prohibiting the Crown in New Zealand from proceeding to register the subsequent U.S. default forfeiture judgments against the assets in NZ. The opinion is here. It's been a while since I checked on Kim Dotcom. There is some big news. At the request of the U.S., New Zealand prosecutors tried to revoke his bond. A three day hearing was held. Yesterday, the New Zealand court ruled he did not violate his bail conditions. A New Zealand Herald report is here. 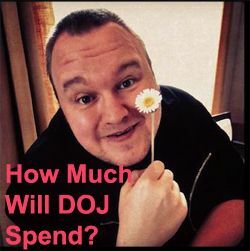 Kim Dotcom's legal bills are in excess of $10 million. That situation has recently become very complicated and his New Zealand lawyers withdrew from his case. His U.S. lawyers have set up a website seeking additional lawyers. We are looking for lawyers in New Zealand and the United States who are interested in joining the Megaupload and Kim Dotcom legal defense and who have a passion for internet public interest law. 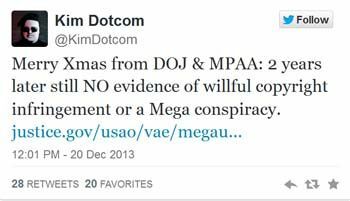 The Department of Justice, at the direction of the Judge presiding over the MegaUpload/Kim Dotcom criminal case in Virginia, has published a 191 page report outlining the evidence it claims supports the charges. The DOJ webpage with documents is here. 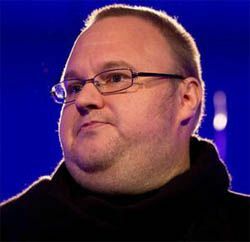 The U.S. government’s case against Megaupload is grounded in a theory of criminal secondary copyright infringement. In other words, the prosecution seeks to hold Megaupload and its executives criminally responsible for alleged infringement by the company’s third-party cloud storage users. The problem with the theory, however, is that secondary copyright infringement is not – nor has it ever been – a crime in the United States. The federal courts lack any power to criminalize secondary copyright infringement; the U.S. Congress alone has such authority, and it has not done so. The New Zealand prosecutor's office has spent almost 10,000 hours battling Kim Dotcom in New Zealand, either on behalf of the U.S. or defending against NZ's actions in providing assistance to the FBI. The latest figures show 9688 hours worked on the case since July 15, 2011 - the date the Crown Law Office opened its file on the American request. The estimate of $2 million is based on rates usually paid for counsel hired to work for the Crown. In this case, additional legal work for the Crown had been done by Christine Gordon QC, Kirsty McDonald QC and Mike Ruffin, adding about 200 hours. ...Some of that work is on behalf of the United States but most has been damage control around the mess which came with helping the FBI shut down Mr Dotcom's Megaupload. It's not just a drain of money. It's also a drain on prosecutorial and court resources that could be better spent on other matters, such as crime in New Zealand. Here is the Government's latest salvo in the federal criminal case in Virginia against Kim Dotcom and his partners. Here is Dotcom's Rebuttal. Torrent Freak has a good explanation without the legalese as to what it's about. Kim Dotcom suffered a setback in his extradition case yesterday when an appeals court in New Zealand reversed a High Court ruling that the FBI had to turn over more discovery in order to allow him to prepare for his extradition hearing. (A discussion of the High Court's ruling is here and the text of the ruling is here.) The Appeals Court says the disclosure is not required. 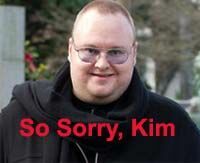 Kim Dotcom claims a double-cross. More here. The brief his legal team filed yesterday in the Eastern District of Virginia is here. 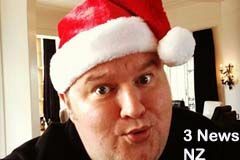 Kim Dotcom is still on track to having a Merry Christmas. 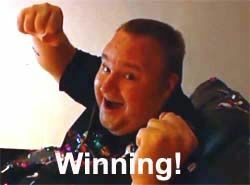 New Zealand High Court Judge J Winkelmann today ruled Kim Dotcom can add the Attorney General, in his capacity as representative of the NZ Government Communications Security Bureau, to his claim for monetary damages resulting from the the illegal search of his mansion and over-the-top commando style raid to effectuate his arrest. She also ruled in his favor on several discovery requests pertaining to the FBI's involvement in the case and NZ's illegal interception of his communications. You can access the opinion here. Last week, the Prime Minister of New Zealand apologized to Megaupload co-founder Kim Dotcom for the illegal interceptions of Dotcom's communications before the raid on his mansion and arrest, conducted at the behest of the U.S. which was seeking his extradition to face criminal charges. Today the Prime Minister released the results of the review of the GCSB's illegal interceptions. The Prime Minister's press release is here. It doesn't say much, other than to give the PM a clean bill of health for not having been briefed on Dotcom prior to the raid. He acknowledges there may have been a quick reference to Dotcom at a meeting after the arrests in February, 2012, but insists nothing was said about his residency. In a media conference after the release of the report into unlawful monitoring of Mr Dotcom and an acquaintance, Mr Key said he was "appalled" at the agency, saying it had "failed at the most basic of hurdles." "Of course I apologise to Mr Dotcom, and I apologise to New Zealanders." He said New Zealanders were entitled to be protected by the law "and we failed to provide that protection to them." Prime Minister John Key today announced he has requested an inquiry by the Inspector-General of Intelligence and Security into the circumstances of unlawful interception of communications of certain individuals by the Government Communications Security Bureau. Mr Key says the Crown has filed a memorandum in the High Court in the Megaupload case advising the Court and affected parties that the GCSB had acted unlawfully while assisting the Police to locate certain individuals subject to arrest warrants issued in the case. The Bureau had acquired communications in some instances without statutory authority.